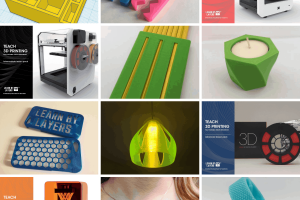 Free 3D printing filament comparison guide for education. Looking for a certain type of 3D printing filament, but unsure of the technical specifications? Don’t want to trawl the internet trying to sift through endless data about all the different materials available? Save yourself time and download this free filament comparison guide created in collaboration with Three dot zero studios. 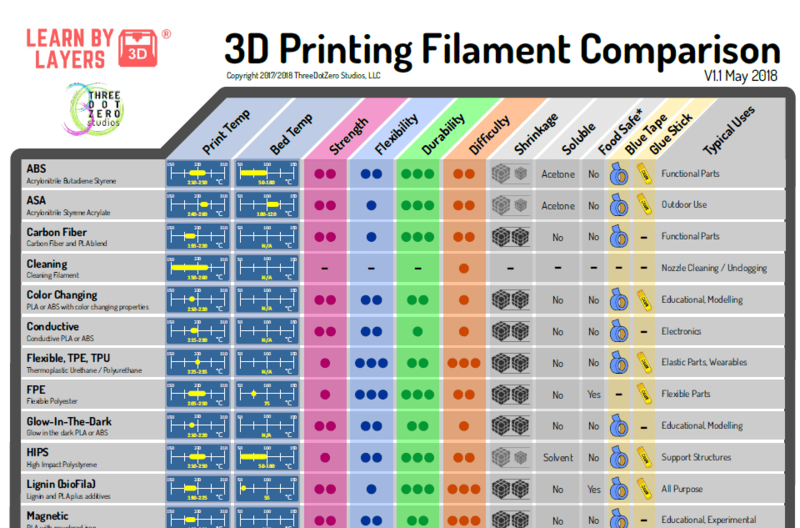 The comparison guide is unique in it has been created from gathering the information from major 3D printing filament manufacturers and collated in an easy to read table. 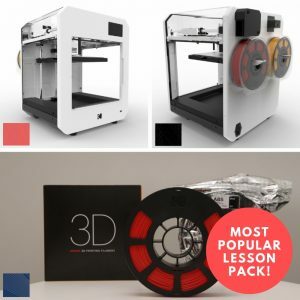 Linking this to our curriculum, it is a great free resource that can be used alongside our lessons on 3D printing and materials. To download the free materials comparison guide, click the tab to the left to download. Along with the definitions of what the abbreviations stand for, there is also vital data about how to print with the filament e.g. 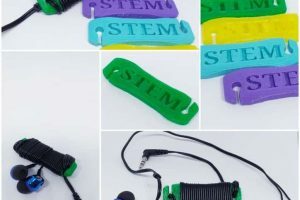 what printing and bed temperatures should the filament print at, along with technical properties such as strength, flexibility, durability and how difficult it is to print with. In an education setting this would be a perfect resource that could be laminated and placed on the wall behind the 3D printer. You could also print this off and use as a lesson resource in your schemes of learning. The comparison also includes a very handy ‘Typical uses’ column, where you can quickly see what would be the best material to use if you are 3D printing a fully functional part. Another interesting column in the filament comparison is the ‘Shrinkage’ column. When designing parts with accuracy, this is a major design point to consider. How much will the material shrink when cooling down. Also, it’s handy to see what materials will work with your 3D printer in terms of the build plate adhesion. If you use blue tape then certain materials won’t be suitable as they will need a heated build platform. 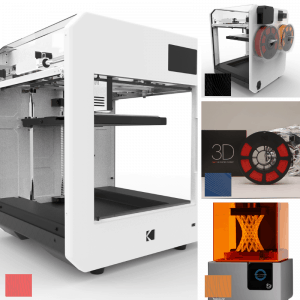 “Running a knowledge-focussed support company, I was looking around for a one-stop-shop guide that compared the most common variables for 3D Printing materials. In looking at over 20 guides online, it became apparent that there was no simple guide that offered a clear comparison. 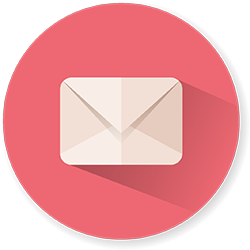 There are a lot of detailed resources out there, but quite a lot of conflicting information which is hard to sift through. I researched a lot of sites for points of commonality and compiled the materials guide in a format designed to be printed and stuck on a wall. We’d like to thank Craig for sharing the guide into the education community and his support of 3D printing and education. To download the guide use the panel to the left. 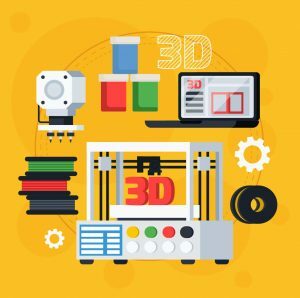 To learn more about 3D printing and education and some of the lessons we offer schools, click here. Easy to use comparison guide. Great to use as a teaching resource.